To begin: recognize and appreciate the behavioral changes, however small they seem, and then watch the change spread to other aspects of your life / relationships / behaviors / habits, etc. As the change expands, it forms a deeper inner conversation so that your potential for tackling the areas that are perceived as more difficult become even more available. From there it is communicated to the Higher Self for ever more changes to be able to occur. Here’s a more concrete explanation: You don’t typically reorganize a house in one sitting. Just the thought of it may seem too overwhelming, and even one room can seem daunting. So you select one shelf, or one drawer and begin there. The completion of that one location increases your confidence and triggers the part of your brain that appreciates completion, so that you want to do more. From a metaphysical approach, if you want to change something, but have found yourself resisting, you can clean a drawer or organize a shelf. As silly as this sounds, the act of evaluating each item to determine if it stays or goes, signals your Higher Self that you are ready to take on the aspects of your life that were previously being resisted. 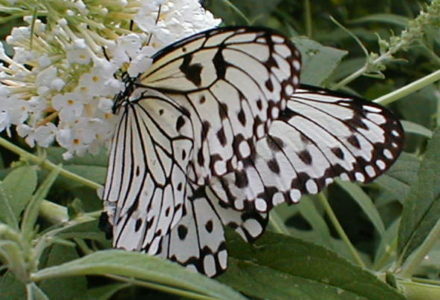 Many relate transformation to metamorphosis and thus identify with the symbolism of the caterpillar that changes into a butterfly. The main difference between metamorphosis and transformation is that a metamorphosis appears sudden and complete, while a transformation occurs over time and may not be as readily apparent to self or others. Yet often at some point you or others will suddenly realize how profoundly you have changed, and may even have difficulty remembering from where you originally came. Realize that you are no longer that person with whom you used to identify, therefore many of your old patterns – anxiety, communication, habits, responses to others – may have been left behind as well. You don’t have to look back. If this occurs, don’t be frightened. Acknowledge that your Higher Self is readying for a great transformation, and know that the raw materials to create this transformation are, and have always been, within you! Because of free will you are not required to engage, but I hope that you will, and that you will consider utilizing the support of a trusted friend, spiritual counselor or therapist. Psychologist Erich Fromm said that we have a responsibility to ourselves and to one another to know our interiority intimately and hold our darkest sides up to the light of awareness. Please don’t be afraid to view these shadows. Recognition and acceptance of all aspects of you is where real peace resides. This is what ultimately brings the inner calm and allows you to vibrate to a different frequency. This is transformation. I encourage you to take this journey and wish you peace and ease. May it be, and feel, profound.